Once again, I'm filling in for Matt on The Morning Shift because he's making his way down to Austin with Travis in a Viper and an SRT Jeep Grand Cherokee for SXSW. If you're in the ATX, be sure and join us tonight at the Dock and Roll Diner at South First and Elizabeth streets just south of downtown! You've no doubt heard of Alpina, who for decades have tuned the living crap out of BMWs while simultaneously making them more luxurious inside. But while they've been putting out overpowered and gussied-up versions of the 3, 5, 6 and 7 series Bimmers for some time now, they have yet to offer any Alpina SUVs. That's about to change. Meet the Alpina XD3 Biturbo, their version of the X3 diesel with 350 horsepower and a whopping 516 lb-ft of torque. Makes you wonder why they didn't do this years ago. 2nd Gear: Alfa Romeo And Maserati Will Save Fiat! To fully use the group's underperforming Italian plants, Marchionne aims to increase Maserati's annual sales to more than 50,000 by 2015 from about 6,000 last year, and he wants Alfa to triple sales to more over than 300,000 by 2016. And Li Shufu, chairman of Zhejiang Geely told reporters Wednesday at a legislative session that electric-car subsidies should be expanded to fuel-efficient cars, including hybrids. Li, whose net wealth we estimate at $2.2 billion, runs a car company that is addicted to subsidies from local governments: some 65% of net profits can be traced to cheap land and guaranteed government sales. So it’s not surprising that his solution to China’s idling electric car dream is more handouts to companies like his. And speaking of China, a group led by one of that country's most prominent developers is seeking a 40 percent stake in the General Motors building in Manhattan. If it goes through, it would rank among the largest purchases of a single U.S. property by a Chinese investor, according to the Wall Street Journal. That building houses Estée Lauder, a very large New York law firm, and other prominent tenants. GM built it in 1968. If sold at the price under discussion, the deal led by the family of Zhang Xin, chief executive of office landlord Soho China Ltd. would value the trophy tower at about $3.4 billion including debt, according to real-estate executives with knowledge of the talks. That would make the GM building by far the most valuable tower in the U.S. Listen, you guys, Chrysler has been working hard on their diesel motors. Like, really really hard. Wards Auto goes into great detail about the insane work and "compressed time tables" over the past two years that went into getting their diesel engines on the market, along with all of the associated powertrain components. For example, the complicated task of mating the auto maker’s new 8-speed automatic transmission with a 3.0L diesel engine in the’14 Jeep Grand Cherokee – a first-time combination for Chrysler – was completed from sketch to street in less than two years. “We started on it in February 2011. (There was) not much time,” Bob Lee, vice president-engine and electrified propulsion, tells WardsAuto. 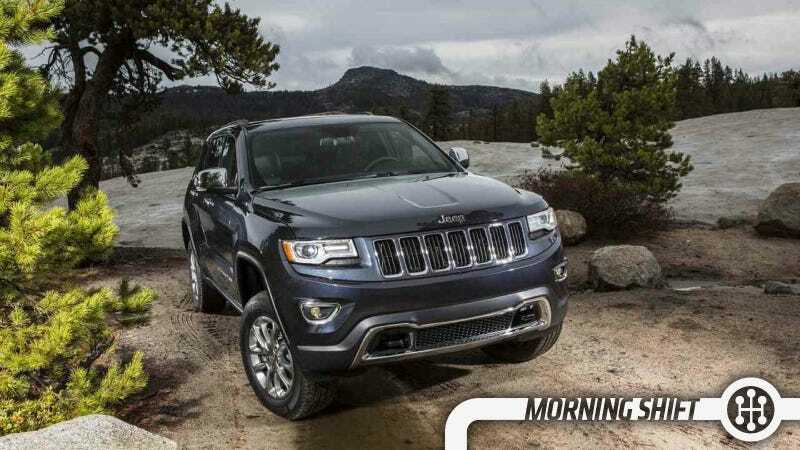 We're excited about diesels in Jeeps and other Chrysler cars, but we have to wonder: if they were pushed out so quickly, will they be up to par when they go onsale?